Does the Nokia Lumia 800 contain NFC? It’s complicated. A video has appeared today (which we have been unable to verify for legitimacy) that reportedly shows a Nokia Lumia 800 making brief near-field communication (NFC) contact with a Nokia Play 360 (which supports NFC pairing). The phenomenon happens when toggling WiFi on and off, suggesting the powering of the NFC is connected somehow to WiFi. 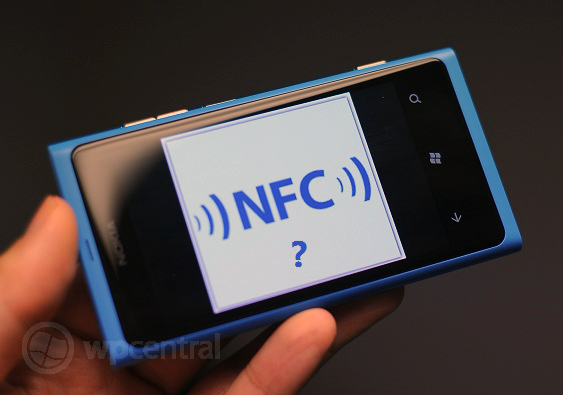 The question naturally presents itself: does the Nokia Lumia 800 in fact support NFC? And will it get an update to enable this if so? The answer is a bit messy but we’ll just be brief here and say “no” and “no”. As to the first “no” it has to be qualified. We’ve heard that some early batches of the Lumia 800 do have NFC hardware on board but it is not something Nokia is planning to utilize. The chipset used on the Lumia 800 is the Qualcomm Snapdragon S2 (MSM8255T) which does not have NFC built in (though the MSM8930 does). Presumably Nokia could have added a secondary NXP chipset for NFC if that were the case for the video above. A physical teardown of the Lumia 800 by TechRepublic also did not reveal any NFC functionality nor did a later breakdown of the Lumia 900. That should answer the question if Nokia would deliver an update to enable this feature—no since barely any devices have it (our does not seem to have this configuration). So why did Nokia not put in NFC? There are probably a few reasons, including pricing point, Microsoft did not have support yet for it and more importantly, NFC is still in its infancy for mass-adoption. And why do a very few evidently have NFC-something? Nokia may have been exploring it early on or they may have recycled some hardware from their other devices—after all, Nokia does make devices with NFC on board like the N9 which the Lumia 800 borrows heavily from in terms of design. Clearly though some OEMs besides Nokia have been playing with NFC in Windows Phone 7.5—see our mini-review of LG’s unreleased ‘Fantasy’ phone with NFC support. And Nokia of course does have the Lumia 610 with NFC which is making the rounds too. But in the end, if you want proper NFC support you’re going to have to wait for Windows Phone 8 devices.